860 PRO Delivers Ruggedized Performance in a Quad Port Output.821 Mission Critical Ethernet Extender Also Serves The Steel Industry! 821 Ethernet Extenders Used in the Steel Industry! 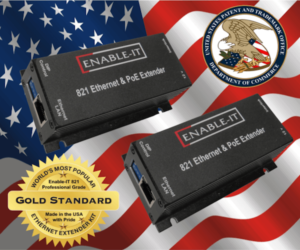 These American-made Enable-IT 821P PoE Extenders use industry LAN standard RJ-45 (8-pin) connectors to make installing in most any environment very easy. We have engineered most of the technical complexity into automatic line adjustments so the plug and go simplicity on your existing or new wiring is a snap. 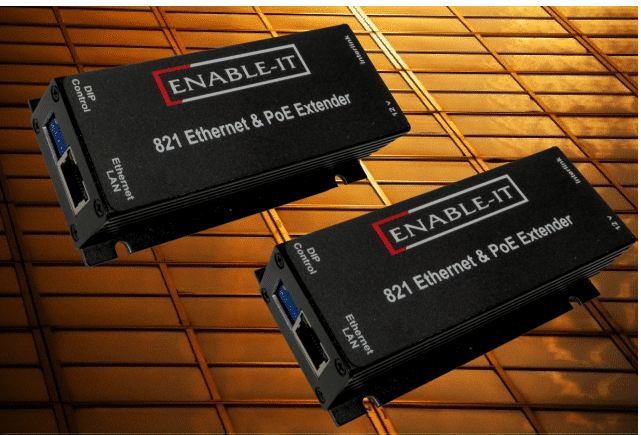 Ethernet Extension Experts designs and manufactures the 821P PoE )Power over Ethernet) Extender kit, along with its entire product line, in the USA that makes us more responsive to customer demanding needs. We use the highest quality materials and craftsmanship. 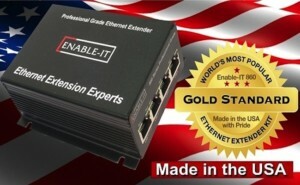 This is trusted Business Reliable Professional Grade Ethernet Extension without the high cost of fiber or un-secure wireless. Why risk your business to lower quality imported equipment? The value of your network communications should be a protected investment. Beware of Cheap Chinese “so called Business Use” (not even suitable US Home use) gear that is banned in the US due to proven hidden spyware.